WSCN, namely Wirelesss Sensor and Control Network is for sensor, control, and monitor applications with wireless data communication. WSCN has been widely used on the wireless information acquiration and device control. Below is the list of technologies that is applied in WSCN. A number of wireless communication technologies have been developed for different applications. There are CDMA, GPRS/GSM, WiFi, Bluetooth, Zigbee, UWB, RFID, .etc. CDMA and GSM technologies are widely adapted by mobile phone vendors. They are used for 2G/3G mobile phone and base station as global wireless communication standards. while GPS is a global positioning system implemented by satellates. WiFi technology has been widely used in PC and broadband internet connection for video stream with 300Mbps rate. Another technology Bluetooth has found a position for voice and cable replacement applications with 3Mbps rate. The low-rate data communication standard Zigbee with 250Kbps rate and ultra-low power consumption has been applied on the sensor network . Moreover, UWB - Ultra WideBand technology is for new generation wireless USB standard. RFID is Radio Frequency IDentification that uses radio signals to identify objects. Even though RFID tags are tiny and come in a variety of shapes, styles, and sizes designed to suit a particular need, a RFID reader is a powerful embedded system. Wireless Sensor and Control Network (WSCN) is based on the low-rate data communication. Its physical layer standard is IEEE 802.15.4 with 250kbps on 2.4GHz. 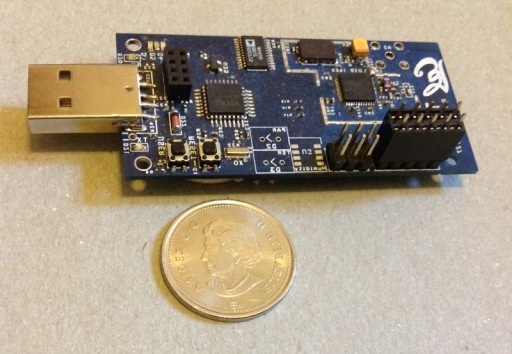 Zigbee is a standard over the 802.15.4. TinyOS is an embedded operating system for WSCN with the support of a new programming language nesC. Sensor is a component that can convert physical, chemical, and mechnical parameters into a digital value. New generation CMOS sensor has small size, low-power consumption, high sensitivity and accuracy. It is convenient to integrate with IC control system. Because of the use of CMOS processing, its price can be dropped fast. RFID: a passive sensor without power supply. It is useful for many applications to figure out the spacial position of a sensor node. Range-Based location gets the position of a node by computing the distances of nodes through trilateration, triangulation, or multilateration method. This location technology is good at accuracy. The examples of measurement technology of Range-Base location include RSSI and TDOA. RSSI (Received Signal Strength Indicator) is good at low-power consumption but may have maximum error in 50%. TDOA (Time Difference On Arrival) applies the differential between ultrasound and wireless to locate position. Cricket system designed by MIT adapted TDOA method. Range-Free location can estimate the position through connectivity of a network. DV-Hop, Convex Optimization, and MDS-MAP are well-known Range-Free location algorithms. There are a number of route algorithms such as Flooding, Clustering, Geographic, and QoS awareness. A component can be MCU, Timer, RF module, and Flash Memory. A component may be in Active, Sleep, or Deep Sleep Power Mode. When a component is enabled, it is in the Active mode. Then it goes in to the Sleep mode after being disabled. The Deep Sleep mode is entered or released when the specific instructions are called. In the Deep Sleep mode, all the other operations are ignored by components. The mode switching time is an important parameter to measure the power performance of a component. For example, WSCN 1000 mote with MSP430 ultra-low power MCU, its active power consumption is 3mW; sleeping power consumption is only 2uW; and wakeup time is extremly short in 0.006ms. Its RF power consumption is 45mW in 250Kbps and the mote can work above 1.8V. Lithium Ion Battery and Lithium Polymer Battery are widely used for small and mobile devices. How to select a battery for a WSCN node? A typical CR2032 button battery delivers approximately 200 mAhr of capacity. To achieve 1 years (1 * 365 * 24 = 8760 hours) of continuous operation, the system's average current consumption must not exceed 200 mAhr/8760 hours=22.83 uA. MSP430 used in the WSCN 1000 family presents active current: 330 uA at 1 MHz, 2.2 V; standby current: 1.1 uA; and off mode current (RAM Retention): 0.2 uA. Suppose the system is one hour in active mode and 23 hours in standby mode, the average current consumption per hour is (330+1.1*23)/24 = 14.80 uA. This is inside the range of cell. However we need to count on other components. TinyOS is an embedded operating system for WSCN applications. It includes a C-like high level language NesC and a kernel for Mote platform. Mote is a module that consists of a MCU and a wireless module.